The animation studio stays close with CBeebies while looking outward. Finding the right partner can be a big challenge for indie production companies looking to finance kids shows for broadcasters with ever-shrinking budgets. But when a good one comes along, smaller studios thrive when they make the relationship last. 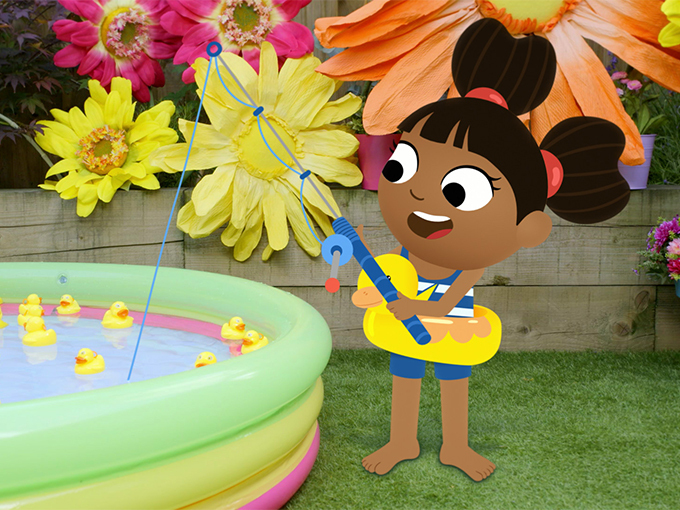 For London-based Beakus, finding a friend in BBC’s preschool channel CBeebies has paid off. Animation director and producer Steve Smith did some work for the channel prior to forming Beakus in 2010, which helped the company get in the door. 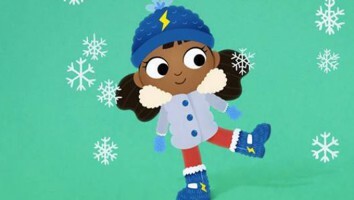 The studio’s early work for the channel involved one-minute, 2D-animated idents for CBeebies. The relationship led to Numtums, Beakus’s first series. Created by BBC producer Barry Quinn, the 25 x five-minute numbers-based show ran for three seasons from 2012 to 2014. “It was a great experience, especially working with live action. More importantly, the work invited us into CBeebies as a development partner,” says Smith. Smith and his partner, picture book author and illustrator Leigh Hodgkinson, then developed the concept for Beakus’s first original IP, Olobob Top. This animated preschool series is about the adventures of three child-voiced characters living with friends in a huge forest. “We dreamed up the idea together. At the time, our kids were two to three and just being born, so we were watching CBeebies every day and felt like we could see our series working,” says Smith. Since premiering last summer, Olobob Top has become a regular top-10 show for the pubcaster and has aired in 14 territories. The property has also expanded into licensing and publishing, with a leg up from London-based Raydar and Bloomsbury. 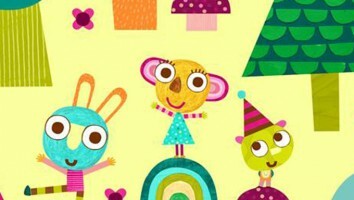 More recently, CBeebies greenlit a second season in June that is expected to bow next year. Other broadcasters acquiring the new season include S4C (Wales), ABC (Australia), SVT (Sweden), YLE (Finland), Disney (Japan) and Hunan (China). Beakus’s second CBeebies original, the 20 x five-minute hybrid series Yakka Dee (pictured), debuted last November. 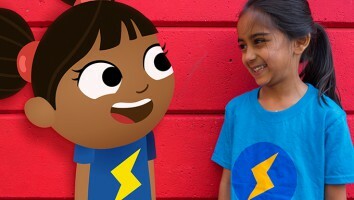 Created by Smith, Katie Simmons and Lotte Elwell (all of Numtums), with animation by Mexican studio Mighty, the series follows the adventures of a 2D-animated girl and her live-action friends as they teach the audience about children’s first words. Seasons two and three are currently in production, thanks to deals with BBC Studios. Beakus’s newest project is Big Lizard, a 2018 Cartoon Forum selection that stars a planet-hopping young astronaut and her dad.